Play swiftly and plan ahead to escape from the sinking island! 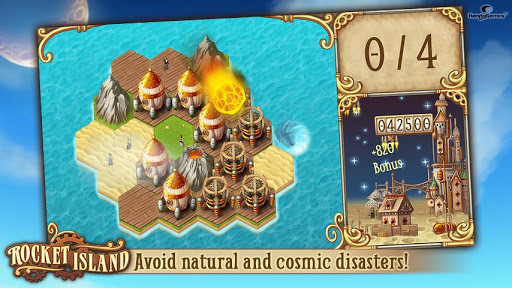 Devastating disasters threaten the planet. 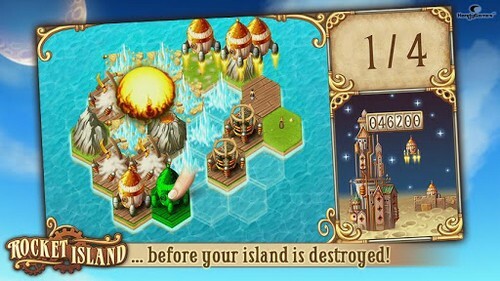 In the fantastic steampunk world of Rocket Island, it is up to you to save mankind! The world is crumbling beneath everyone's feet, and there's only one hope for survival: rockets to the moon! 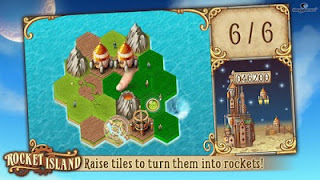 In Clouds and Sheep creator Handy Game's puzzle release Rocket Island, your job is to develop hexagons of land into functional rockets as quickly as you can. Start with the sea, build solid ground, prop up a platform, then make a rocket. All you have to do is keep everyone alive as you frantically swipe between meteors and volcanic eruptions!